Australia's entire fleet of F-35s have been grounded following a crash. It is the latest snag in the extremely expensive and drawn out aeronautical engineering project – the F-35 Joint Strike Fighter. The Royal Australian Airforce has taken delivery of nine F-35s, which have sat idle at their American training base in Arizona. An F-35 belonging to the US suffered a catastrophic engine failure and crashed in South Carolina in late September. The pilot was able to eject safely before the broken fuselage crashed into boggy marshlands near Beaufort. The crash investigation suggested a faulty fuel supply tube may have been responsible for starving the engine of fuel, sending the plane plummeting to the ground. It led Australia, Israel and the United Kingdom to pause their flight operations. The Australian Defence Force issued a statement saying “the F-35 fleet has been instructed to conduct safety inspections across all delivered engines”. “Australian F-35 aircraft currently based in the US will return to flying operations once safety inspections are complete,” the ADF said. 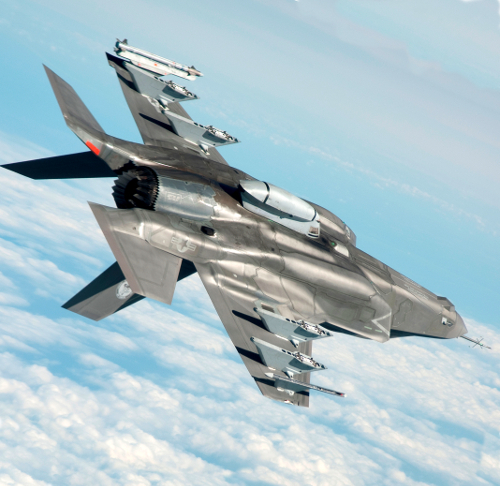 Insiders say that an individual faulty fuel line was likely the cause, making it unlikely to affect all Pratt and Whitney engines across the F-35 Lightning II fleet of 350 completed planes. The F-35 program has already cost a mind-bending US$1.4 trillion, but still has deficiencies to be fixed before it enters full production and combat service. Australia has maintained its commitment to buy 72 of the planes as replacements for the current fleet of F/A-18 Super Hornets to perform air combat, bombing and surveillance roles. Earlier this week, the US announced it had cleared more than 80 per cent of its F-35s have been cleared to fly again. Reports say seven of Australia’s nine jets have been cleared.